Microsoft Office 365 | Integrated Data Technologies, Inc.
We believe that the heart of productivity is great teamwork, and the heart of great teams is great communication. Productivity today is centered on conversations – sometimes a quick instant message or call, and sometimes a meeting planned in advance including voice, video and content sharing. Office 365 is a world-class productivity service that helps great teams to accomplish great achievements. At the heart of Office 365 Communications is the Skype for Business service connecting your teams with the experience they love, in the Office applications they use every day. With Skype for Business you can simplify your infrastructure with one platform for calling, conferencing, video, and sharing. Anywhere Access – ability to make and receive business calls in the office, at home, or on the road, using your business number on your smartphone, tablet, PC, or desk phone. PSTN Conferencing – provides the flexibility to dial in to a meeting from a traditional phone, in addition to the existing ability to join a meeting with a single click on your PC or mobile device. Skype Meeting Broadcast – makes it easier than ever to produce large virtual meetings for up to 10,000 meeting attendees, who can join from virtually any browser or device (see it in action). 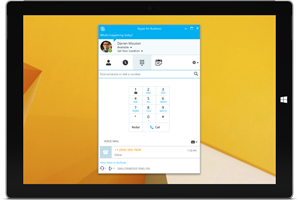 Now Skype for Business truly is a single platform for every type of meeting. 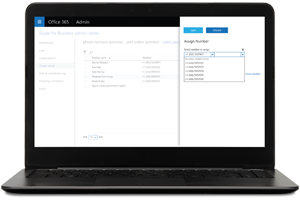 Cloud PBX – enables companies to eliminate separate PBX systems and transition to the cloud with Office 365 as the center of communications management. 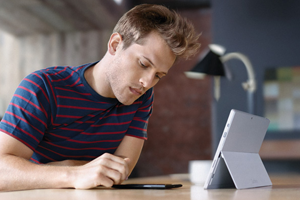 PSTN Calling – ability to subscribe to Microsoft managed calling plans and phone numbers. Skype Connectivity – Connect, communicate, and collaborate with colleagues, consumers, other businesses, and friends and family – anyone who uses Skype – with both voice and HD video.